Main : Fish »» Streams »» General Fly Fishing »» Fly Fishing Jamboree »» Insects and Trout Food »» 2009 Photo Contest »» 2013 Winter Photo Contest 2016 Spring Photo Contest BackCast! My Fav Pic of the Trip! Looks like a nicely executed "spey" cast. I've often cast that way in tight conditions. Bring the rod back low, then bring the forward cast up high. It creates a roll cast, for the backcast. The nice thing is, if the line does find a stray branch, it is less likely to wrap around it when the line is rising than if it is falling. yep thats pretty much how i cast most the time(other than side arm casting). One handed sprey casting. 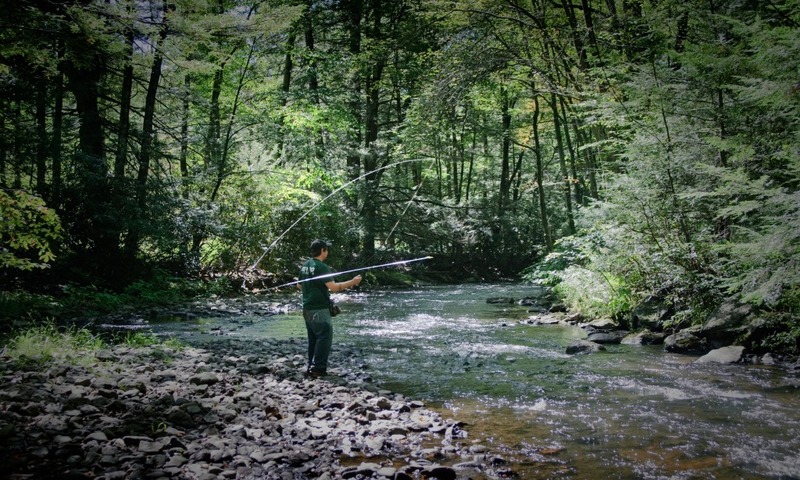 That's one great fly fishing pic!! !